“Queen asked to have a meeting with me because they liked what I’d done with David Bowie and Lou Reed, and especially Iggy Pop. The first Queen album hadn’t got much traction, so they thought, let’s get a bit of Mick Rock glam stuff and maybe that’ll help. 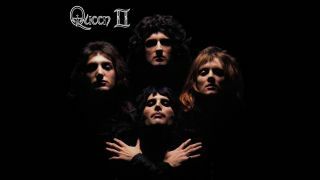 “So we had the meeting, and they played me Queen II, and I think I said: ‘Wow! Ziggy Stardust meets Led Zeppelin’. That was the right response. They were committed to me after that. “For the concept, I was feeding off the music and the band. They had no doubt they were going to make it big, so I felt it needed to have a certain grand quality. 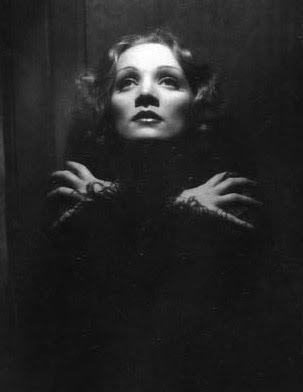 I’d come across a photo of Marlene Dietrich on the set of 1932’s Shanghai Express, and she was under a top light, with hood eyes, arms crossed, fingers spread. I showed Freddie the image and he loved it. So that was sold to the rest of the band as the basic idea. “At the time, the band didn’t understand what went on in the studio, or about lighting, and I was running up and down on a ladder while they kept running back and forth to look in the mirror. It took a bit of fiddling to get them all arranged right. Brian May brought a veil that we put on his head for some shots, and we tried a few different hand arrangements from Freddie. Mick Rock’s book Classic Queen is available from his website.